We are a Christian organisation and, since 2002, we've been offering support to older people in Farnham, who may have become isolated from friends and neighbours. We listen when people tell us what the would like and then, where possible, set about making it happen. 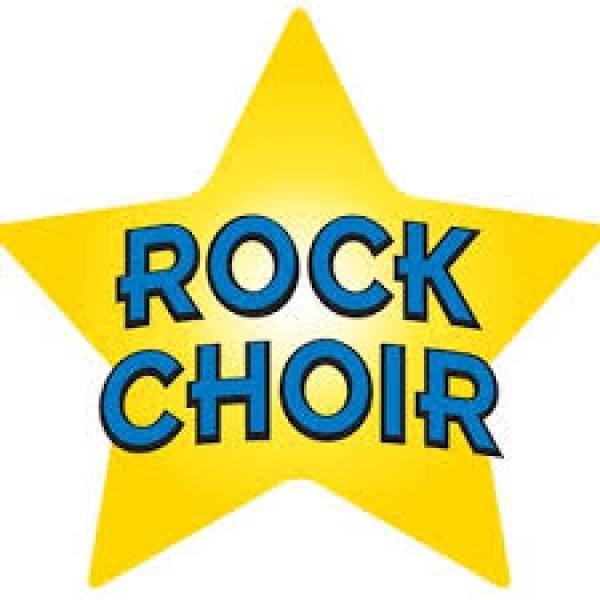 Farnham Rock Choir are performing at St Andrews' parish church on Saturday 9th March at 7:30pm. This is a free event with a retiring collection in aid of Farnham ASSIST Charity. Createyour own masterpiece and get in the festive mood this Christmas time. 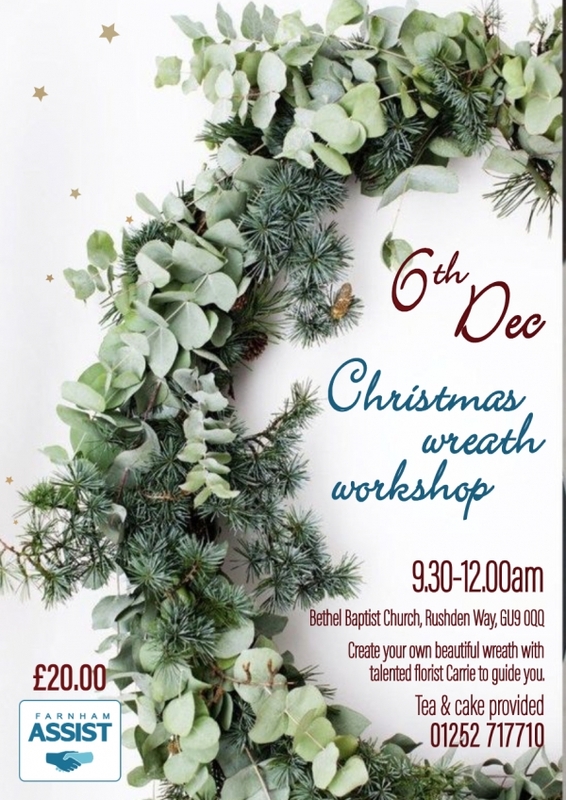 Talentedflorist Carrie will be showing us how to create our own wreath with mixedfoliage, berries, citrus fruits and feathers ready for Christmas. All materialswill be provided as well as tea, cake and mince pies. This festive event needsto be booked in advance and there are limited spaces. It will be held at BethelBaptist Church in Rushden way, Farnham. There is plenty of parking andrefreshments will be provided. If you have any questions and to book your placeplease call Farnham ASSIST on 01252 717710. Cost £20 - all proceeds go toFarnham ASSIST Charity. 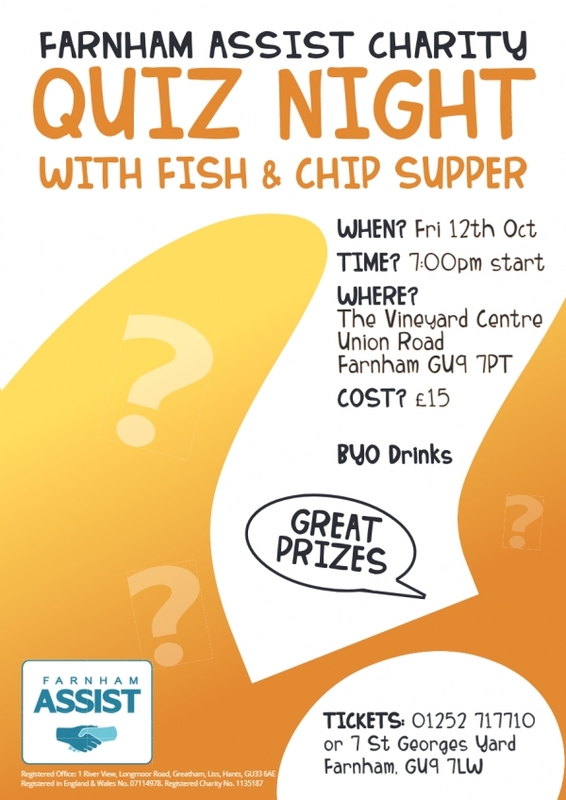 Come along to Farnham ASSIST's charity quiz night and enjoy fish & chips. Friday 12th October 7pm start. 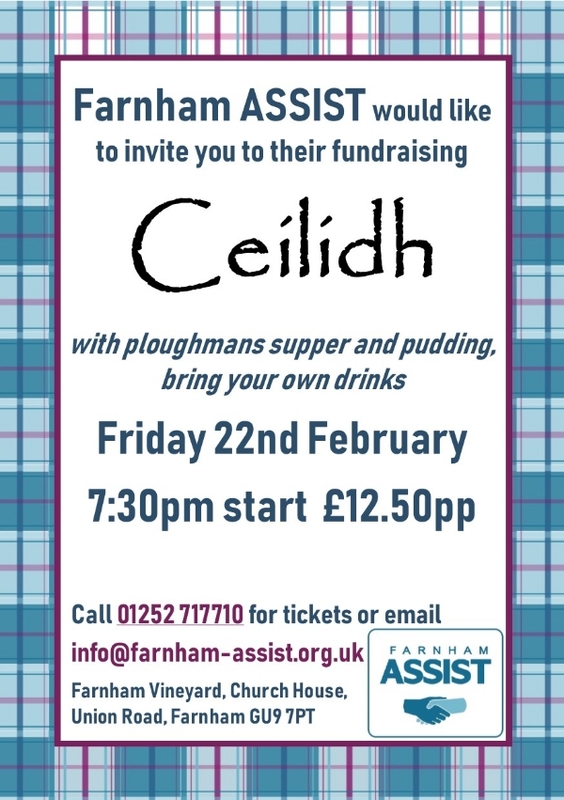 Contact Farnham ASSIST on 01252 717710 or info@farnham-assist.org.uk for more details or to buy tickets. 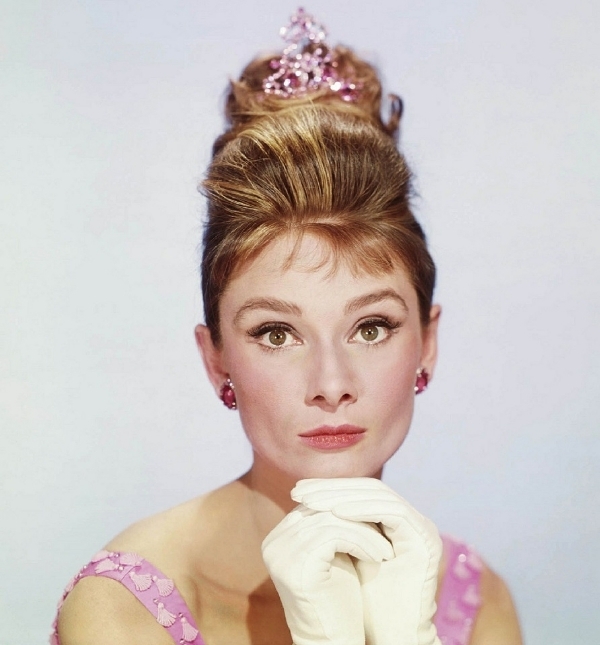 Enjoy watching My Fair Lady with afternoon tea and sing-along to the much loved popular songs. This must be pre booked. 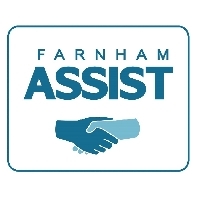 Call Farnham ASSIST on 01252 717710 for more information or if you need transport. 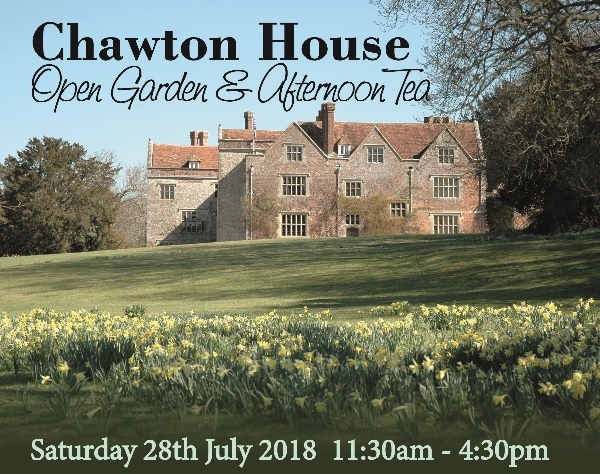 Farnham ASSIST in collaboration with Chawton House are holding a fundraising garden tour with the head gardener and access to Chawton House with afternoon cream tea with live classical music. Do come along to this stunning garden on 28th July from 11.30am and learn the history of the house and grounds, where Jane Austin wrote her many novels. 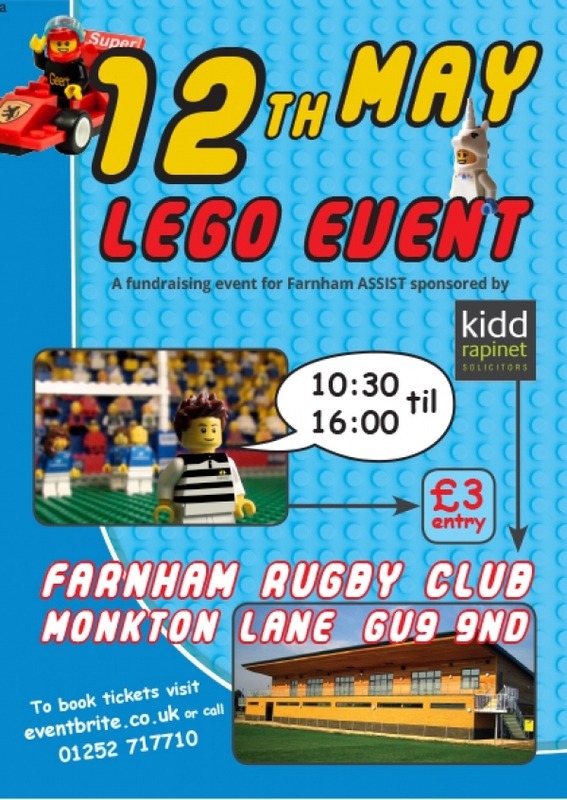 Come along to an exciting Lego exhibition with displays from AFOL's. Play in our create area with Duplo and Lego bricks plus soft blocks and colouring. Browse the marketplace with stalls selling toys, clothing and much more and enjoy refreshments from the cafe. Please do contact us if you have a child with a special requirement so that we can discuss accommodating their needs for this event. Please note under 14's will not be admitted without an adult. 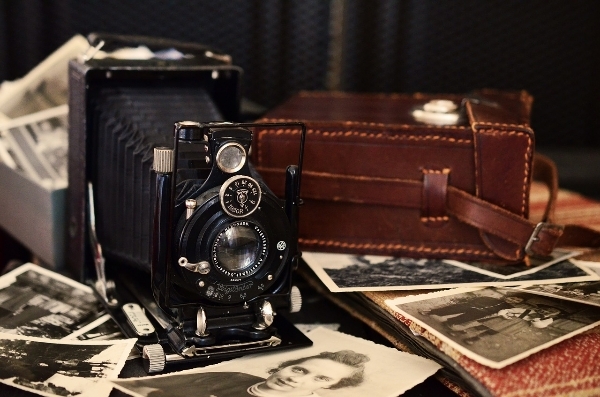 Come along for an interesting afternoon on Wednesday 11th April at 2pm learning about Farnham history as told by the curator of Farnham Museum. With a time for music and singing with a cream tea. £5 per person, please book in advance on 01252 717710. Do you fancy trying this easy, fun game? 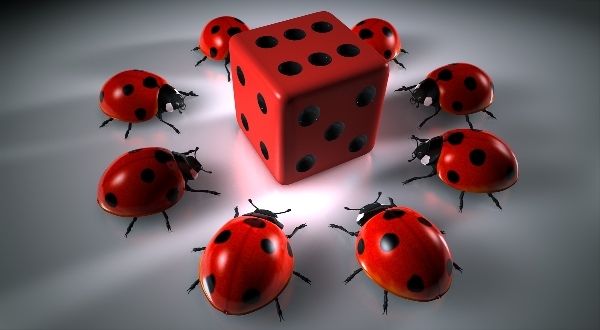 on Wednesday 21st February at 3pm for a fun afternoon playing Beetle Drive, with tea, coffee & cake plus a raffle. 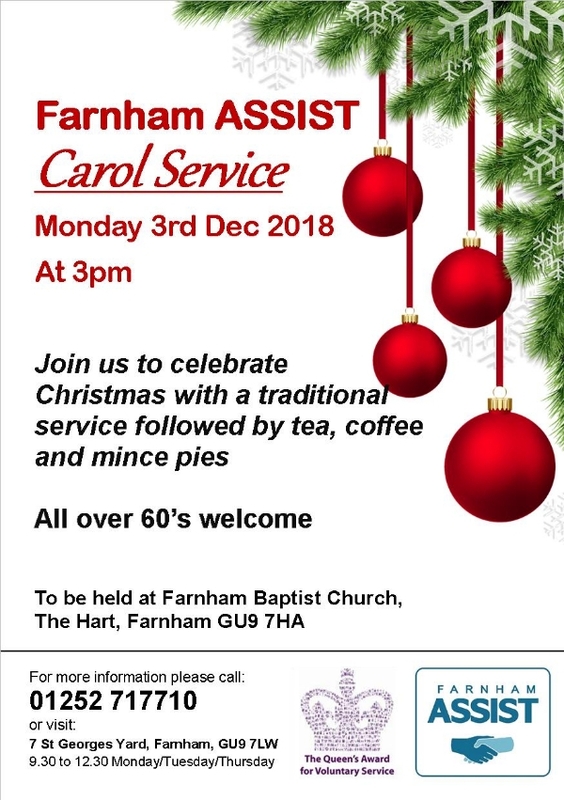 Farnham ASSIST would like to invite all over 60's to a carol service at Farnham Baptist Church, The Hart, GU9 7HA. It starts at 3pm on Monday 3rd December and finishes with tea, coffee and mince pies. Please contact us if you need help with transport 01252 717710.